Flying Electronic 1.5L Professional best cheap kitchen vegetable Plastic Jar Food Blenders YX-300 are one of our price-competitive Food Blenders. 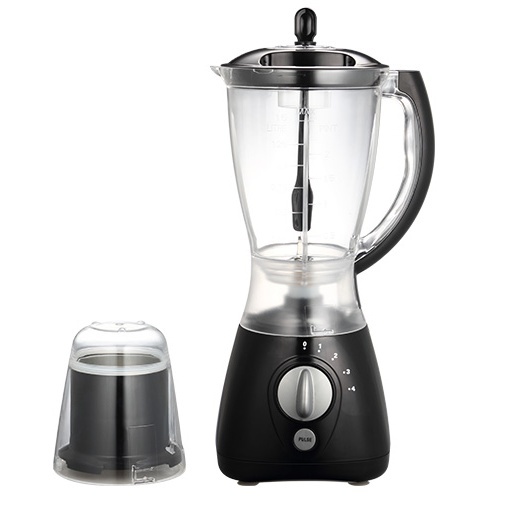 Besides, they are quite similar with our YX-Y44 Electric Food Blenders. They both are Rotary Switch Food Blenders with four speeds and PC unbreakable jar as well as different jars and fliter optional. The difference between them is mainly the position of the pulse button. The pulse button of YX-300 is below the rotary switch, while YX-Y44 are within the rotary switch. What's more, we also have Glass Jar Food Blenders and Stainless Steel Jar Food Blenders. Looking for ideal 1.5L Professional Kitchen Food Blender Manufacturer & supplier ? We have a wide selection at great prices to help you get creative. All the Best Cheap Vegetable Food Blender are quality guaranteed. We are China Origin Factory of Kitchen Vegetable Food Blender. If you have any question, please feel free to contact us.